Opening Ceremony – Independence Day Cup – 2015. The Opening Ceremony of the Independence Cup will start at 1400 Hr (2 PM) on Saturday, 1st August. 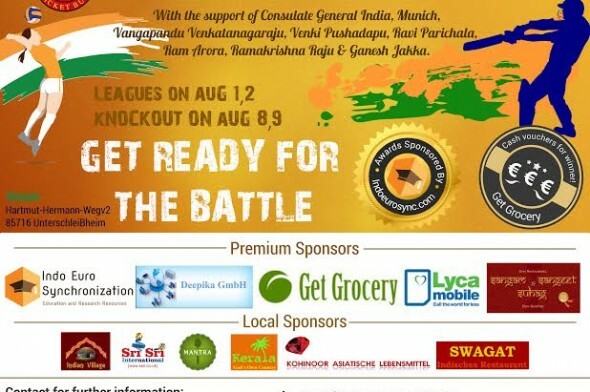 All teams, Sponsors, Officials from different organizations and Consulate General of India, Munich, will be present at the grand opening ceremony of Independence Cup – 2015. At the event, In the memory of departed great soul, former President Dr. A.P.J. 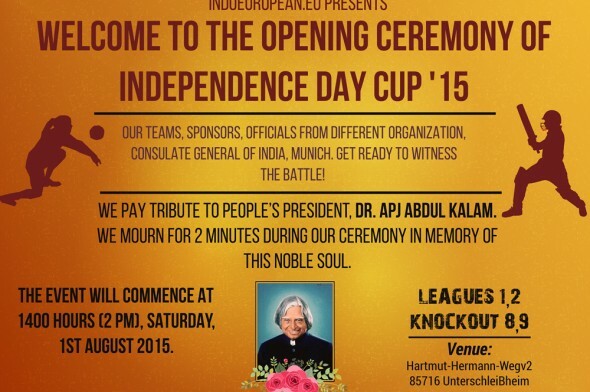 Abdul Kalam, we will observe two minutes of silence and pay homage. Together, let’s all make this event a grand success!